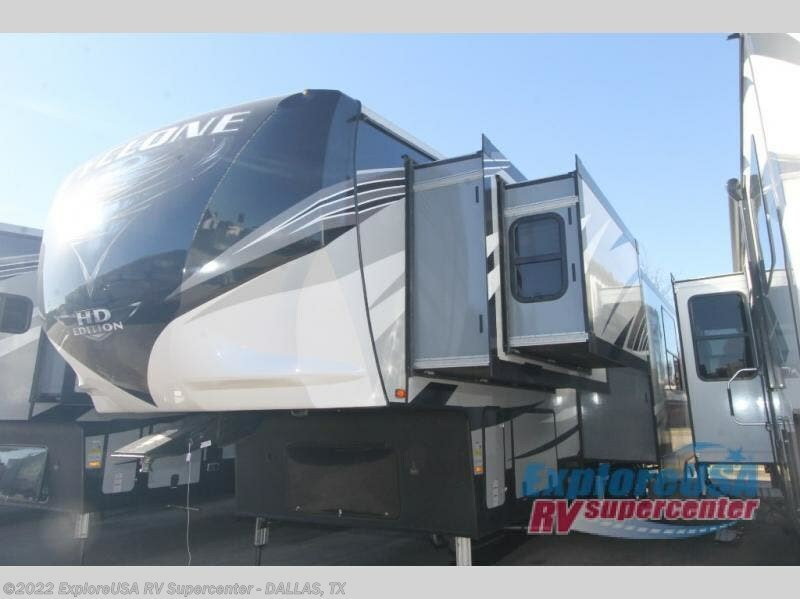 Get ready to let the fun continue all weekend long with this triple slide out Cyclone 4007 toy hauler fifth wheel. 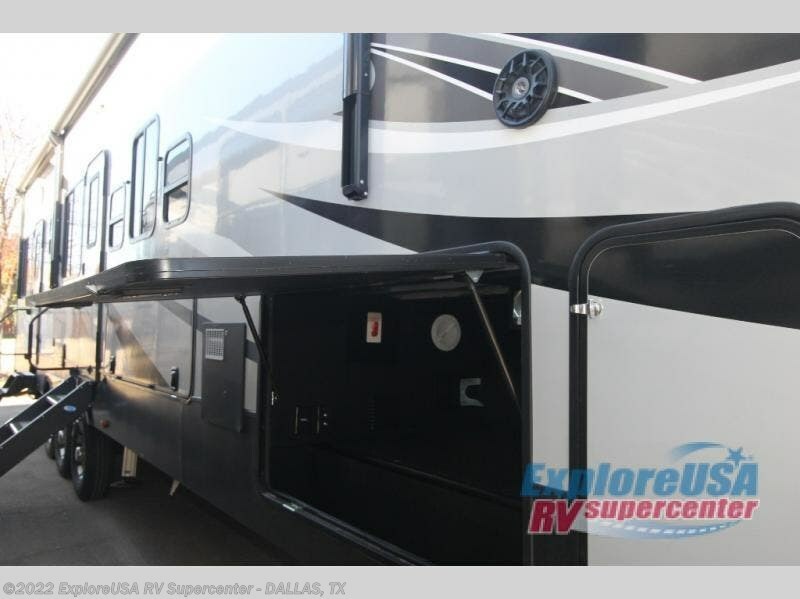 The 13' garage features enough room for an ATV or several dirt bikes. 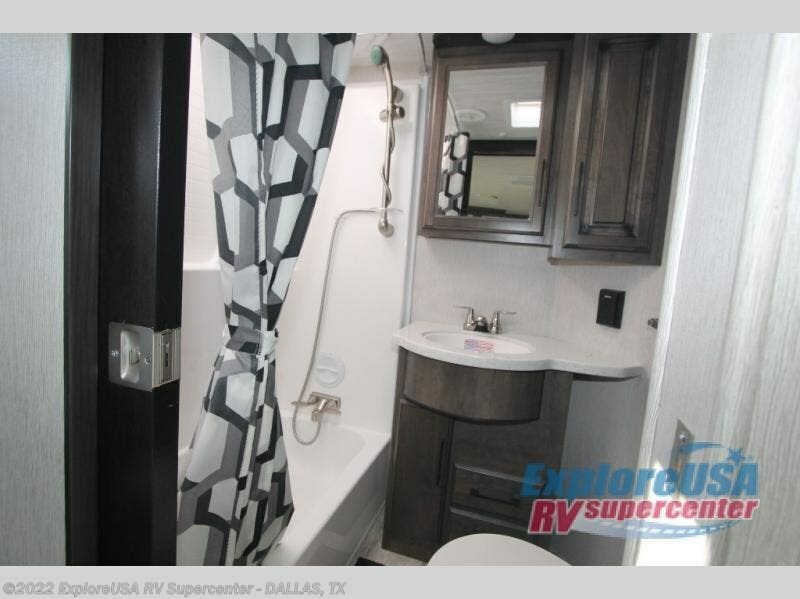 With the handy half bathroom in the garage you can easily clean up without walking through the whole fifth wheel. 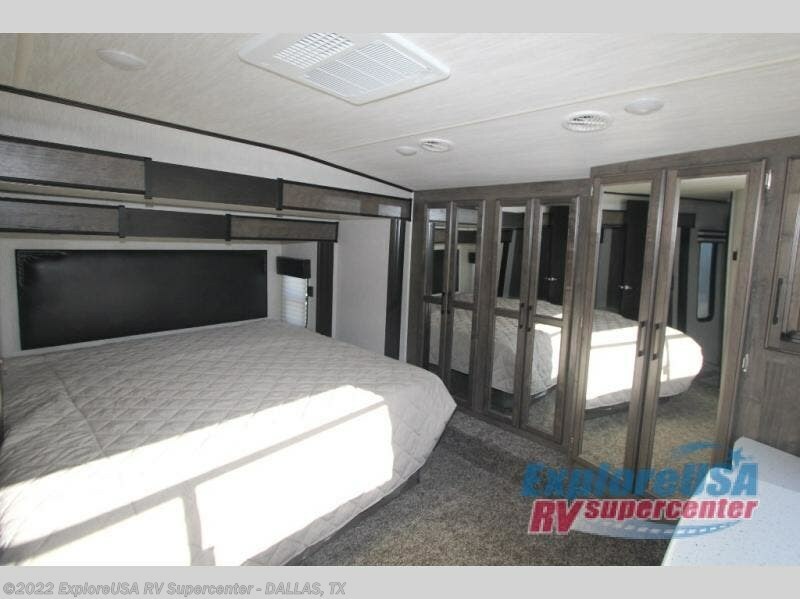 The loft features additional sleeping space as well as the sofa, the electric bed in the garage, and the king bed in the private front bedroom. 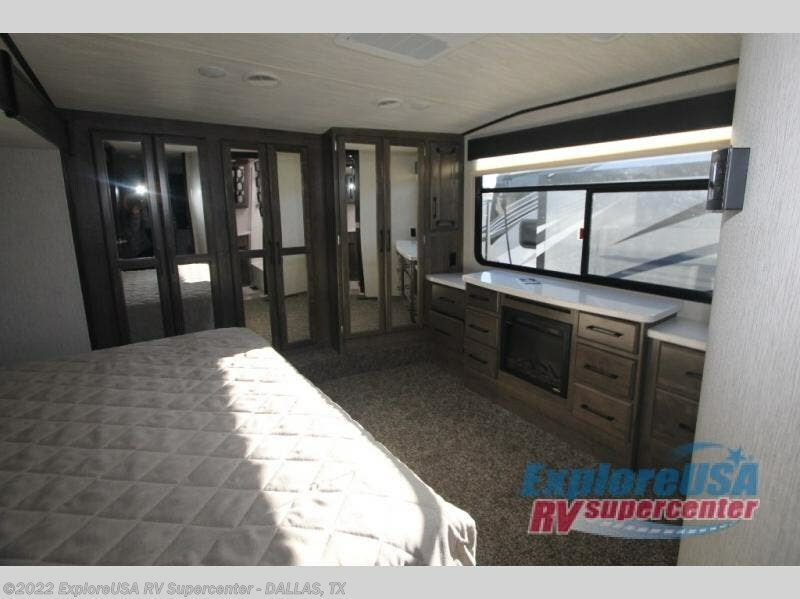 Also in the bedroom you can relax in while warming up in front of the fireplace. 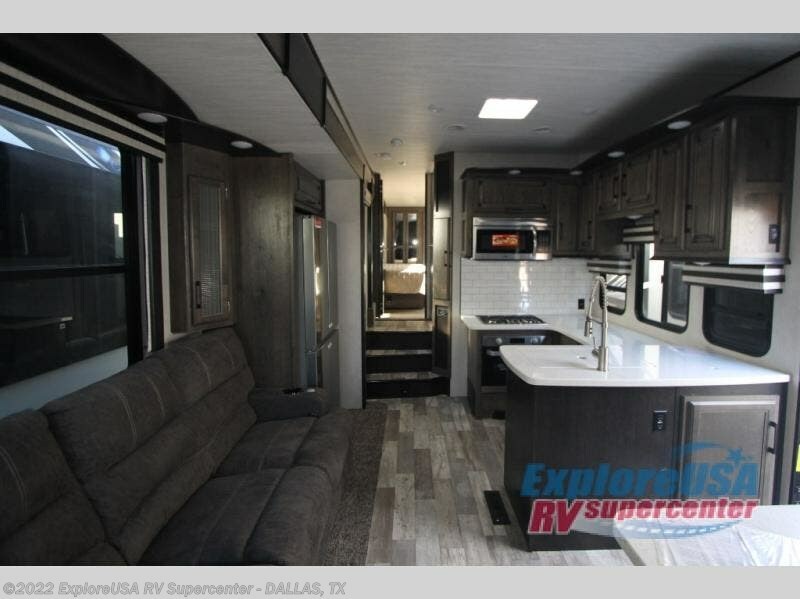 When it comes time for dinner then you can decide whether you want to prepare your meal inside or at the outside kitchen. 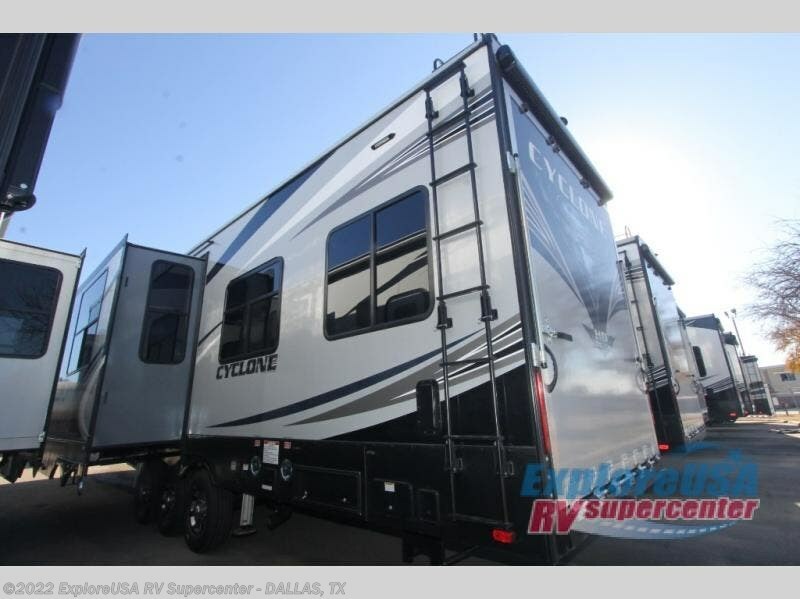 Go ahead and make the easy decision - come enjoy plenty of fun for your family when you choose to camp with this Cyclone toy hauler! 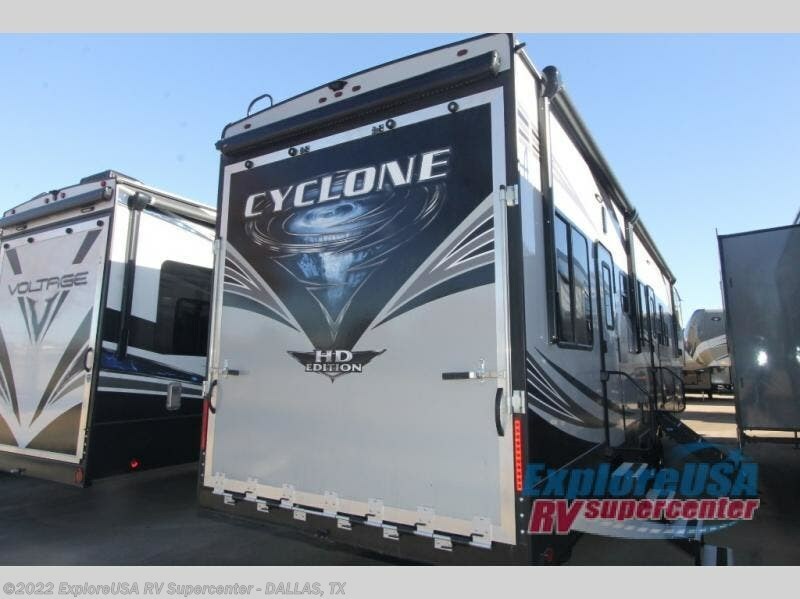 The Cyclone toy hauler fifth wheels by Heartland RV are not your ordinary toy hauler. 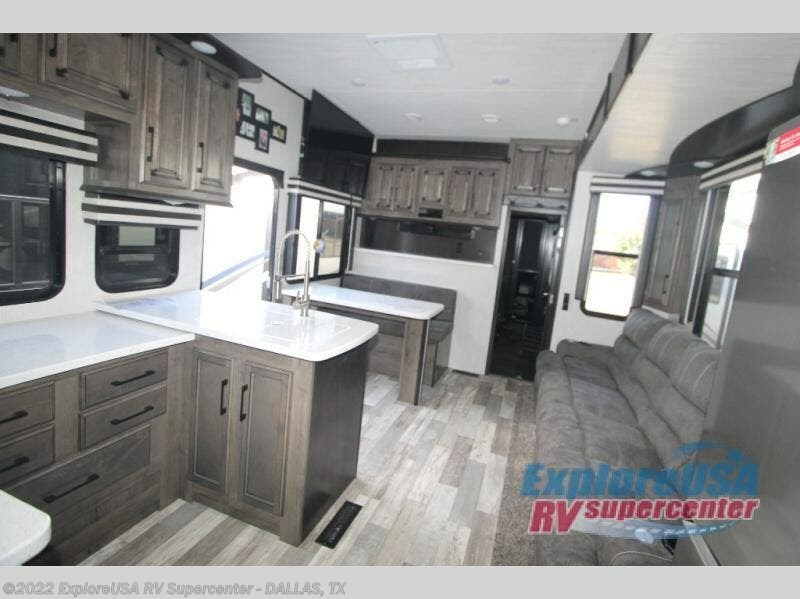 These models have beautiful cabinets and plenty of comforts throughout such as high quality residential furniture, a 55” LCD HDTV flat screen TV, cable TV and satellite hook-ups, plus a separate DVD/CD/MP3 Bluetooth stereo for the garage and exterior. 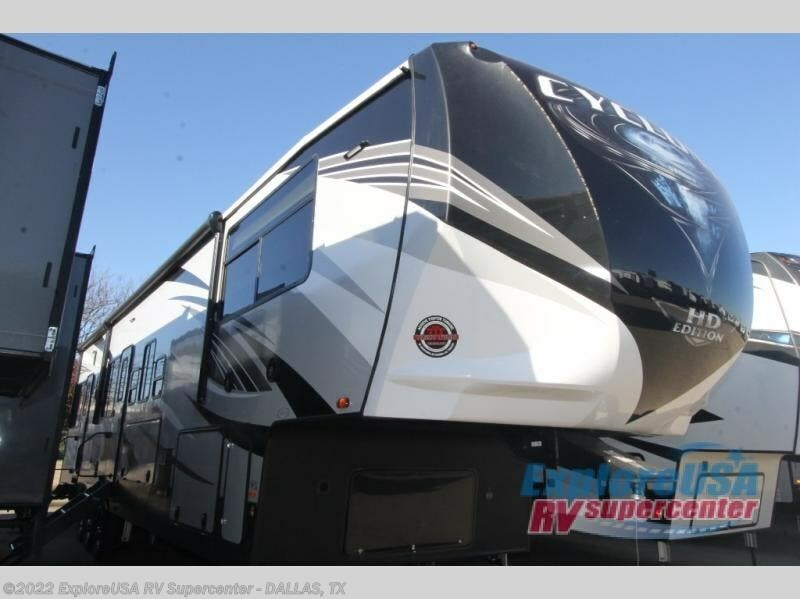 Along the exterior there are stunning graphics and you will enjoy the view out of the large bedroom picture windows. 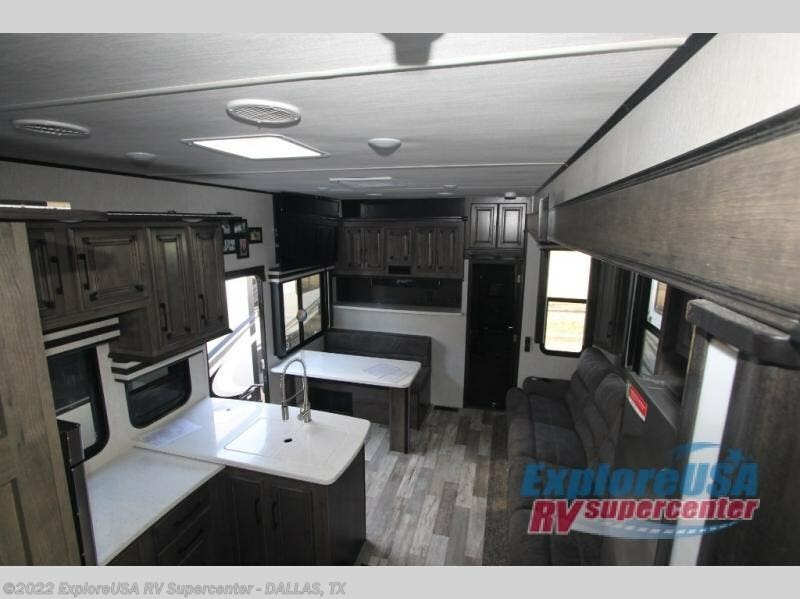 The two side awnings with LED lights provide plenty of shade during the day, and at night you can grab a snack, your camp chair, and enjoy visiting outdoors just a bit longer. 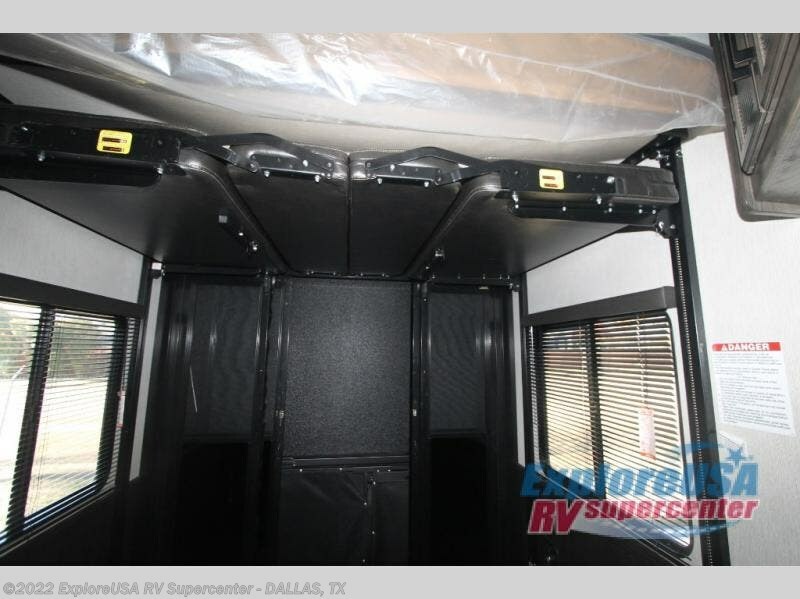 The ultra-light ramp door allows you to easily load your off road toys. 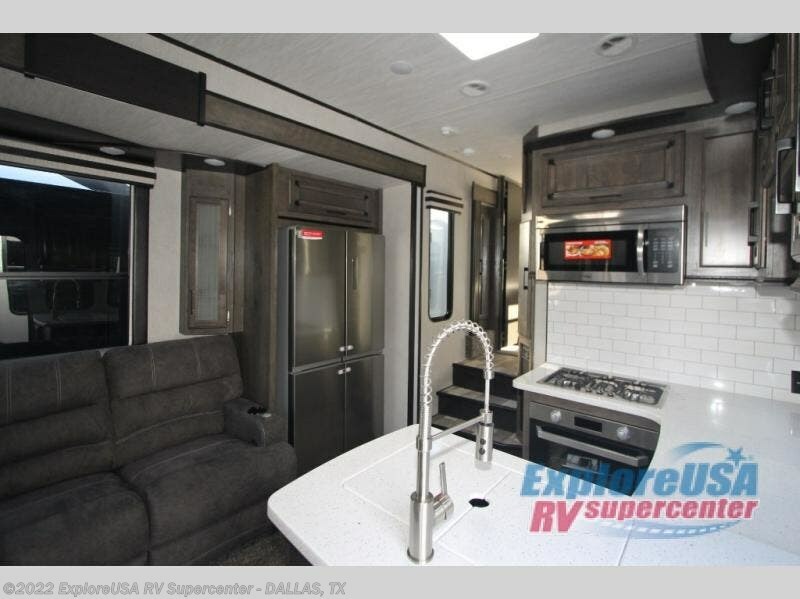 In the garage you will also find an electric rear screen, decorative chair rail, plus built-in overhead cabinets with an entertainment center and more! 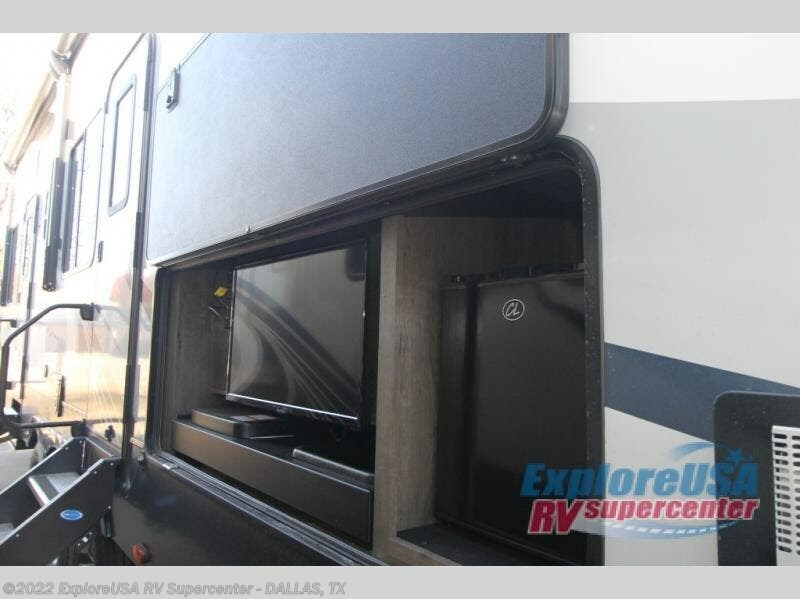 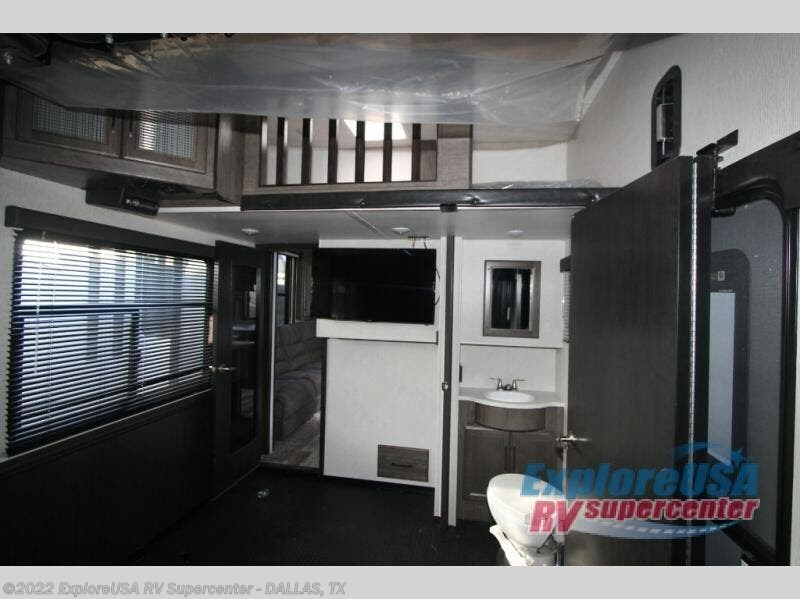 You may even want to add the S5 Package which includes a 2nd fuel cell, 40" garage TV, solid surface counter top in the bedroom, central vacuum, 32" bedroom TV, and upgraded furniture with USB ports and built-in tables. 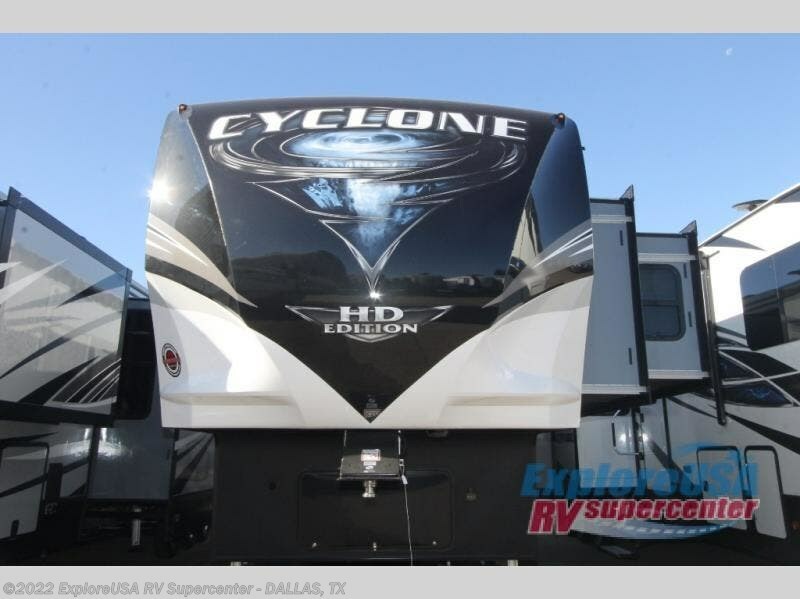 Check out Stock # M2874 - 2019 Heartland Cyclone 4007 on heartlandrvsource.com!